HID iCLASS® cards feature read/write contactless smart card technology to offer high-speed operations with superior data integrity. Multifunctional smart cards let you send and receive data for a variety of purposes, from ID cards to credentials. 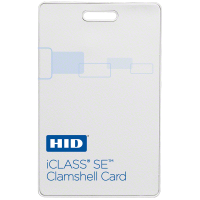 Robust HID iClass cards come in a wide range of styles and data options. You choose the type of card you want, select the format and programming options, pick any add-ons, and place your order. We do the rest. Unsure what HID iClass option to go with? 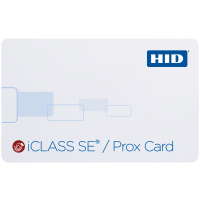 Contact an ID card specialist who can answer all of your questions about iClass contactless smart cards. We can help you pick the right solution for your business and budget. Find out which iCLASS cards are right for you with our iCLASS SE How to Order Guide.